Parks Planning in the Community Services Department provides professional planning, landscape architecture and project management services. The focus is on parks, trails and open space planning and support of the annual Capital Improvement Program. Staff also provides development review comments to ensure conformance with the El Paso County Parks Master Plan, and provides expertise in long range planning for El Paso County and regional collaborative initiatives. Fountain Creek Regional Park is a 390-acre linear park situated along the banks of Fountain Creek between the cities of Colorado Springs and Fountain. The park is owned and operated by El Paso County. 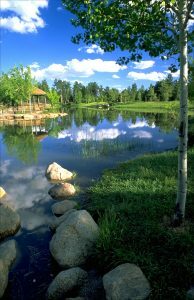 It includes a creek-side regional trail, Willow Springs Ponds, Hanson Nature Park, and the Fountain Creek Nature Center, the latter of which serves as the focal point for learning about Fountain Creek, the watershed, and riparian ecology. Farther south, the Duckwood active use area consists of a 12 acre site with multi-purpose athletic fields, picnic pavilions, basketball court, and a playground. The park was acquired and built originally in the late 1980s. A planning process is underway to develop a master plan for Fountain Creek Regional Park to address not only the current state of the park, but to gather public input to effectively plan for future improvements. Beginning in mid-December 2015, El Paso County Parks asked for citizen input to develop the master plan for Fountain Creek Regional Park through participation in a community-wide online survey. The survey results can be found in the Fountain Creek Regional Park Master Plan. The survey questions addressed favorite features of the park, satisfaction with existing facilities and maintenance, and what additional improvements the community would suggest. 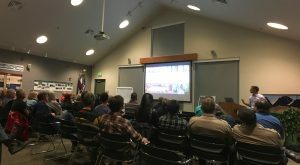 Shortly after the completion and analysis of the survey in mid-January, 2016, citizens were invited to participate in two public meetings which took place at Fountain Creek Nature Center on the evenings of January 27 and April 28. The meetings presented the results of the online survey, master plan goals, site analysis, concept designs, and site-specific improvement plans. At each meeting the public was asked to submit comments regarding various aspects of the plan. The meeting results can be found in the Fountain Creek Regional Park Master Plan. On April 29, 2016, the draft master plan was made available to the public for download and review. Comments were submitted, and the Master Plan was revised into the Park Advisory Board Draft Master Plan which was endorsed by the Board at their June 8 meeting. The Master Plan was presented to the El Paso County Board of County Commissioners for final approval at their June 28 meeting. The first improvements, funded by Ballot Question 1A funds and regional park fees, will begin in the summer and fall of 2016. Widefield Community Park is a 50.5-acre linear park situated along the banks of Crews Gulch in the unincorporated community of Widefield and just north of the City of Fountain. 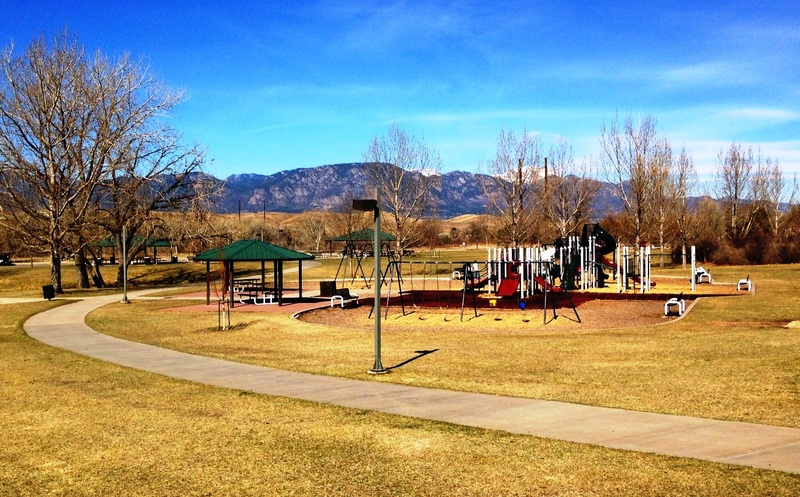 The park is owned and operated by El Paso County and includes such features as McCrae Reservoir, an 18-basket disc golf course, playground, basketball courts, and a multi-use athletic field with baseball backstop. The Crews Gulch Regional Trail winds through the park where it travels south to Ceresa Park, Fountain Creek Regional Park, and the Fountain Creek Regional Trail. The park was acquired, planned, and built originally in the early 1970s. 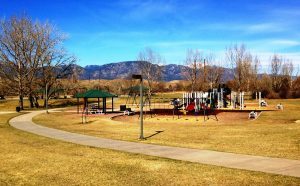 El Paso County Parks has completed the Master Plan update for Widefield Community Park to address not only the current state of the park, but to gather public input to effectively plan for future improvements. In October 2016 El Paso County Parks asked for citizen input to update the master plan, encouraging citizens to first participate in a community-wide online survey. The survey questions addressed favorite features of the park, satisfaction with existing facilities and maintenance, and what additional renovations and/or improvements the community would suggest. The survey results can be found in the master plan. After the completion and analysis of the survey in mid-October 2016, citizens were invited to participate in the first of two public meetings which took place at Talbot Elementary School on October 20. The October meeting presented the results of the online survey and information about the park, and Parks staff asked for further input from the public. The second public meeting took place on February 9, 2017, where Parks staff presented the findings of all public and stakeholder input, master plan goals, as well as the proposed recommended future improvements for Widefield Community Park. On February 10, the public was invited to download and review the draft Master Plan for a period of three weeks, ending February 28. The Master Plan was presented to the Park Advisory Board for endorsement on March 8, and the Board of County Commissioners approved the final Master Plan on March 30. Now that the Master Plan has been completed, expect to see numerous improvements to Widefield Community Park during 2017 and 2018. The trails within Black Forest Regional Park sustained significant damages from the Black Forest Fire and post-fire flooding. Numerous sections were damaged beyond repair, are now prone to flooding, or traverse through severely charred areas within the park. 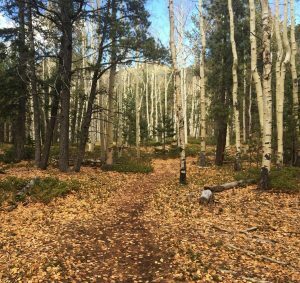 El Paso County Parks launched an update to the trails plan portion of the Black Forest Regional Park Master Plan to identify sections of trail for repair, re-route and/or closure in 2017. 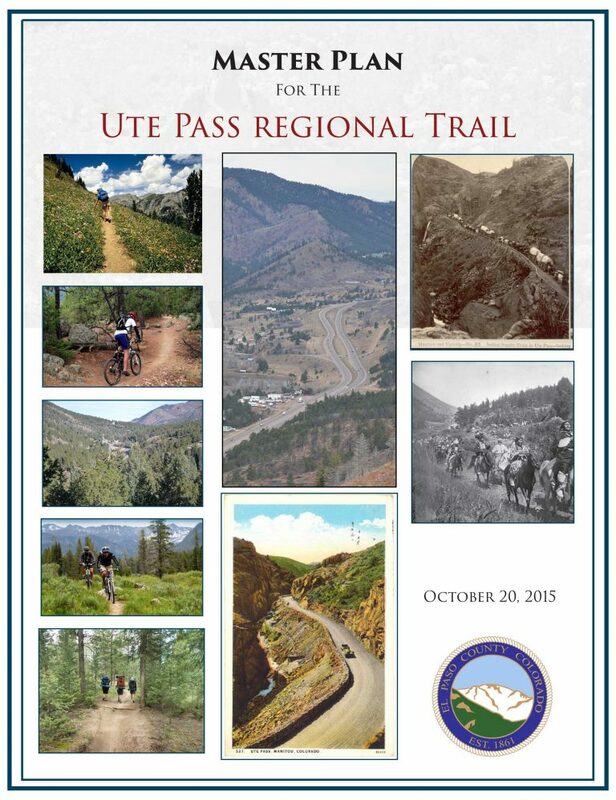 The Ute Pass Regional Trail is a planned 40-mile trail that will eventually connect Colorado Springs to Cripple Creek in Teller County. The trail is part of the American Discovery Trail and the America the Beautiful Trail. The trail will help to preserve the rich Ute Pass history that includes the Ute Indians using the historic trail for their pilgrimages, and later, explorers gold seekers and settlers seeking the easiest passage to points west through the mountains. El Paso County received a State Trails Grant for construction of a 0.66-mile portion of the trail in the Cascade-Chipita Park neighborhood in 2017. Specifically, this project includes construction of a trail within County right-of-way along Chipita Park Road between Ute Pass Elementary School and Winnemucca Road. This project will provide the only pedestrian accommodation along this corridor, increase safe access to the elementary school, and provide pedestrian accommodations at several intersections. Final design and construction is anticipated in 2018. El Paso County contracted with Altitude Land Consultants in 2018 to complete a Master Plan for Jones Park. This Master Plan will comprehensively outline existing conditions, community needs, and recommend new sustainable recreational facilities for Jones Park for the next seven to ten years. Altitude Land Consultants hosted a community meeting on December 6, 2018. Please find below the power point presentation and public comments. Please stay tuned for additional updates on the master planning process. Please complete the survey below to provide your input on the Jones Park Master Planning process.